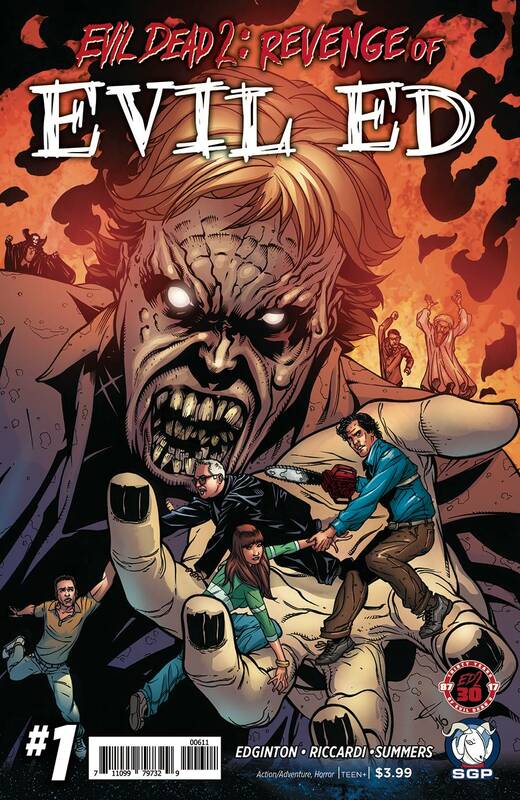 Evil Ed returns, busted skull and all! The Deadite madness goes all out in this all-new 30th Anniversary special. Ash wins a bus trip to Las Vegas from a bogus Employee of the Month award which quickly goes off the tracks as Deadite Evil Ed shows up with an entourage of the baddest bads. Hitler, Dracula, The Mummy, Bin Laden, and Rasputin are all here, jammed full with those crazy Kandarian demons! But hey, a trip to Vegas is a trip to Vegas, right?